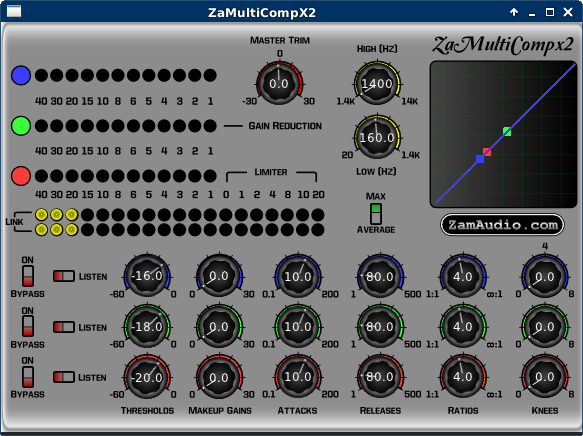 zam-plugins is a collection of LV2/LADSPA/VST/JACK audio plugins for sound processing developed in-house at ZamAudio. The default settings and almost every slider is calibrated to standard ranges. 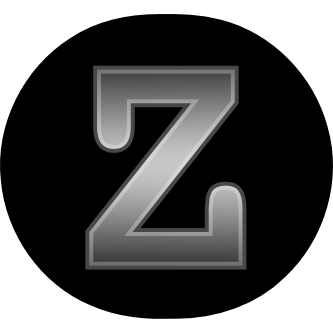 Installation is a manual process by unzipping the plugins and saving the bundle in a designated path. The paths are documented here for all operating systems. For those who can’t wait to get their hands on the source code, it is available on github. A big thankyou to falktx for writing Distrho Plugin Framework. 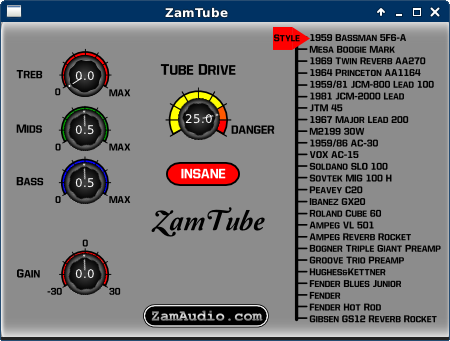 It has enabled me to make these GUIs for zam-plugins quickly and neatly. Also thanks to mira, nphilipp, adi, edogawa and Haskellfant who helped package the software for different distros! One of the best plugins in the series, this acts as a brickwall limiter for mastering in its default state, but can also be tweaked to raise the average level as a stereo maximizer without ever clipping. Sounds musical even with rough treatment. (Based on DSP found in a DAFX’02 paper). 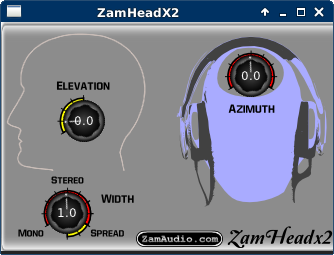 An automatic saturation plugin, has been known to provide smooth levelling to live mic channels. You can apply this plugin generously without affecting the tone. A powerful mono compressor strip. 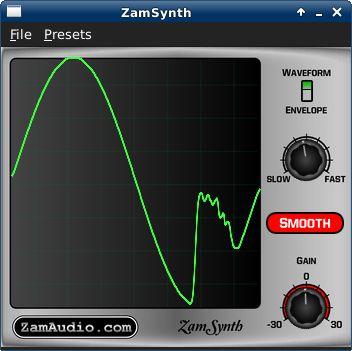 Adds real beef to a kick or snare drum with the right settings. 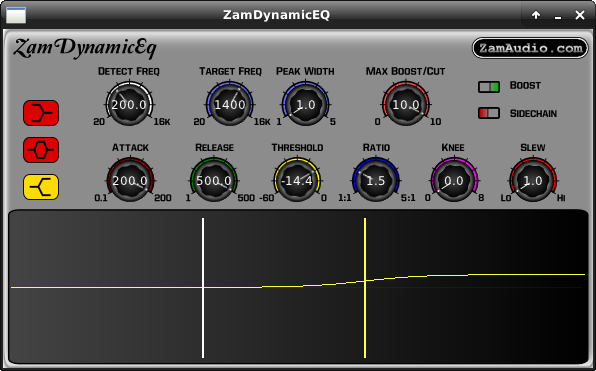 Stereo version of ZamComp with knee slew control. Two band parametric equaliser with high and low shelving circuits. 31 band graphic equaliser, good for eq of live spaces, removing unwanted noise from a track etc. HRTF acoustic filtering plugin for directional sound. 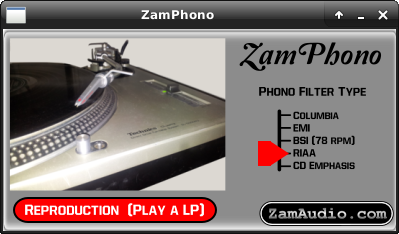 A collection of phono filters for restoring vinyl records, or preparing to cut new ones. Gate plugin for ducking low gain sounds. Gate plugin for ducking low gain sounds, stereo version. Wicked distortion effect. Wave digital filter physical model of a triode tube amplifier stage, with modelled tone stacks from real guitar amplifiers (thanks D. Yeh et al). 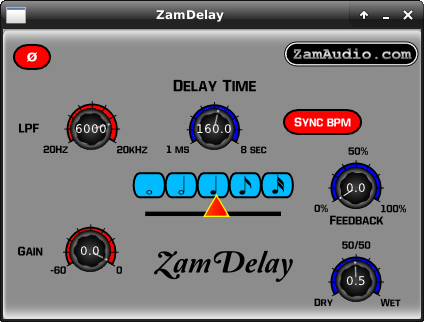 A simple feedback delay unit with sync-to-host BPM feature and filter. A dynamic equalizer that changes its gain based on detecting a narrow band of frequencies. Can be tuned to alter other frequency ranges on-the-fly. Mono multiband compressor, with 3 adjustable bands. 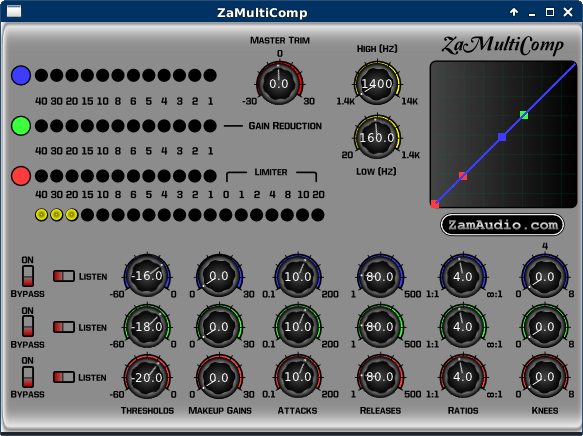 Stereo version of ZaMultiComp, with individual threshold controls for each band and real-time visualisation of comp curves.